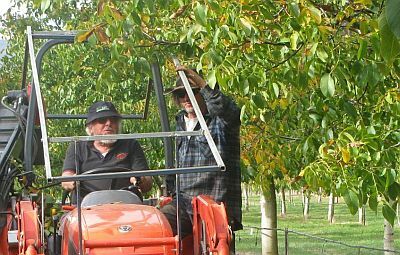 With a new walnut harvest looming on the horizon, I thought I would put out another short blogletter to keep in touch and also to let you know of the visit by some members of the Walnut Industry Group to walnut orchards in the Eastern Bay of Plenty this Waitangi weekend 4-6th February. You are all welcome to all or part of it. 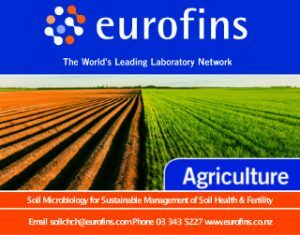 There will be three fieldays; Doug and John Frahm’s, mine, and peter Martin’s. Email me and I will send you the details. One of the reasons we started this blogletter was to keep people in touch. In this issue we tap into some thoughts on pruning, results from van der Tol’s walnut trial, and the Indian walnut harvest. Another note for your next Walnut Blog – my older walnut trees are around 17 year old and I would estimate about 6 – 8 metres tall, and have quite a lot of “old” growth and branches, some of which do restrict sunlight penetrating to the centre of the tree . 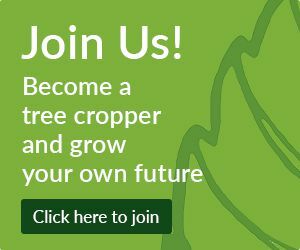 Does anyone practice pruning on mature walnut trees as is done with other fruit trees? [this seemed to involve giving the apricot trees a rather drastic pruning ]. I must say that it would be a Herculean task on large walnuts and probably require hiring a cherry picker and a lot of hard work, and result in a temporary fall in production. Does it result in increased production, and basically would it be worth the effort? Would be interested to hear other growers’ thoughts, since I can’t say that I have seen such pruning elsewhere. Photo – Jeffrey in his walnut orchard. So I sent him an article similar to this one. The website I give here actually gives greater detail, and explains it much better. I have a confession to make. I looked up that article about pruning I mentioned, (attached) and it said something quite different to what I remembered. What you got from me was obviously the entrenched opinions of an old codger. “Time for some new blood,” said my wife. nick. So the options widen from; to prune or not to prune, to maybe prune every other year. We are talking purely for nut production here. This table [‘Pruning Treat’ in the above link] gives a good summary of the whole article. There were 3 treatments; unpruned, pruned every other year, and pruned every year. The other thing I find interesting, rereading this article, is the crop they are getting; 2.3 tons per acre. I gather the average crop for Californian walnut orchards these days is 5 tons per acre. Times have obviously moved on. Anna Brenmuhl sent out this information to WIG members. I find it interesting to contrast the American’s with the Indian’s version. But, the United States Department of Agriculture (USDA) cautions against their counting their chickens too soon, “Adverse weather conditions could always lower the crop estimate by 5-20 per cent, as reflected in last year’s (2010-11) production”. Heavy rains and abnormal weather during the flowering season in August last year reduced the output to about 30,000 tonnes. The country’s walnut consumption is estimated to rise by almost 13 per cent to 18,000 tonnes in the 2011-12 marketing year from 16,000 tonnes in the year-ago period, it noted. Almost half of the walnuts produced in India are consumed domestically. The country’s major walnut-growing areas are located in Jammu and Kashmir, Himachal Pradesh, Uttarakhand and the northeastern states. The USDA pointed out that walnuts are losing out to apples and fresh fruits in terms of area under cultivation, as these fetch better economic returns. “Lack of high-yielding varieties, long gestation periods, poor orchard management and uneven yields (estimated at 18-50 kg per tree per year) have kept walnut production almost stagnant,” the USDA report said. Walnut producers of Jammu and Kashmir are satisfied with favourable weather conditions, as it has helped in ensuring a good yield. Cultivators have expressed happiness as the production of walnut has doubled in comparison to last year. In addition, the Horticulture Department has introduced hi-tech green house technology along with high yielding dwarf varieties, in a bid to double the state’s walnut production. The introduction of new high yielding varieties has generated hope among the farmers, as thousands of people are associated with the walnut trade in the state. As we have all found, it is notoriously difficult to estimate a walnut crop before it happens. Has anybody else heard of dwarf walnut trees being grown in greenhouses anywhere? We are now gearing up for next harvest. From what we observe, the walnut harvest will be similar as last year. I have had a response from Europe on the very good walnut harvest of last year. Firstly I understand that Europe had a good walnut harvest too. Although not (yet?) scientific, apparently a weather pattern that causes a good walnut harvest is usually followed by a cold(er) winter. Which I believe is both the case here in NZ and in Europe right now. Could we add this to the blog and see what others experience about this? On particular varieties, from our observations, Dublin’s Glory is relatively, doing badly and Shannon prospers. Shannon will catch up fast, I think, in the ranking of the trial. Both Shannon and Dublin’s Glory are early flowering, and right now, I think, that Shannon suffered more from spring frosts than Dublin’s Glory. The van der Tols have been doing some fantastic work collecting data from a variety trial on their orchard. I am in the process of writing it up for the Tree Grower, or I can email you a report if you want one, but the results can be summarised this way. The seasons make a huge difference. QUERY: I have 2 14 year old TCA selections (from Harrisons): (AH1335) Shannon which is great- good crop medium sized clean tasty nuts, and Meyric, which is a waste of space- very few small clean nuts good flavour, vigorous growth. We have a small 1ha property on the Clifton hills in Golden Bay, near Takaka. Steep north-facing hillside, limestone country with some cliffs and outcrops of limestone. Soils vary from clay to stony to humusy, but little topsoil anywhere… some rich soil, some poor, some well drained and dryish, some almost always wet. Rainfall 1500~2500mm/year. Usually frost-free. We successfully grow a few bananas, Cherimoya, Casimiroa, Macadamia, Avocado. Your comments about Meyric are interesting, and match what we have experienced. It seems that in some climates (or soils) it “is a waste of space,” even though it is the second most widely planted variety in New Zealand. There is some confusion about its name too. 1199-4 and Meyric are two different varieties, similar, and possibly related, but not the same selection. Meyric replaced 1199-4 because the latter was too difficult to graft. We have 2 selections of genuine 1199-4 seedlings on trial here, one of which is Diana. (Selected by Diana Loader.) Neither has cropped for us yet, as they are too young. So it is too early to tell whether we are going to run into the Meyric problem in the Bay of Plenty. Now, variety selection is an emotional subject. Some of you must want to email their comments about this? Which varieties have done the best for you? Diamond Foods (DMND -16.56%) said audit committee member Joseph Silveira has died. The company’s board has been conducting a probe of improper accounting for crop payments to walnut growers. Diamond Foods are the biggest processors and distributors of walnuts in USA. YouTube clips. The best one I have seen on harvesting and processing Californian walnuts. Someone explains what you are looking at!